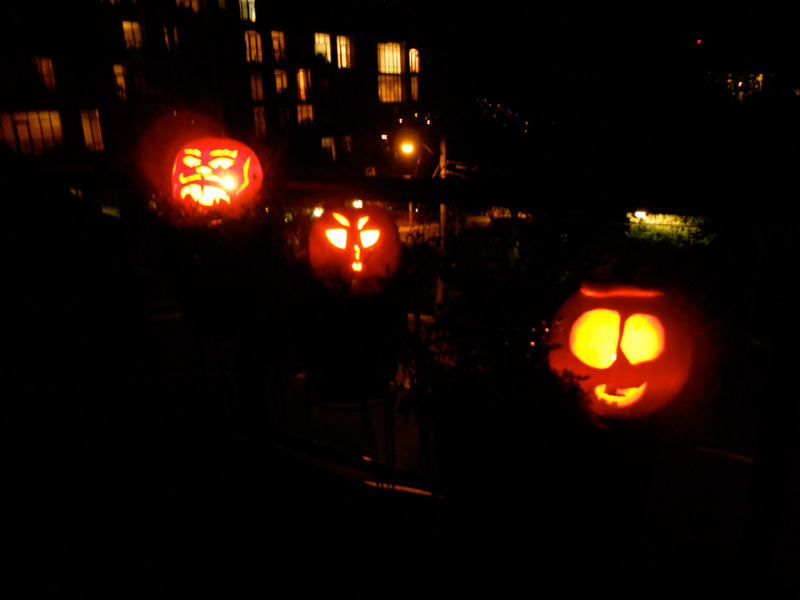 On Sunday last we walked to our friend Billy’s place in James Bay for our annual pumpkin carving evening. Just the walk through the gorgeous autumn dusk was spectacular, and then we had so much fun with friends old and new! 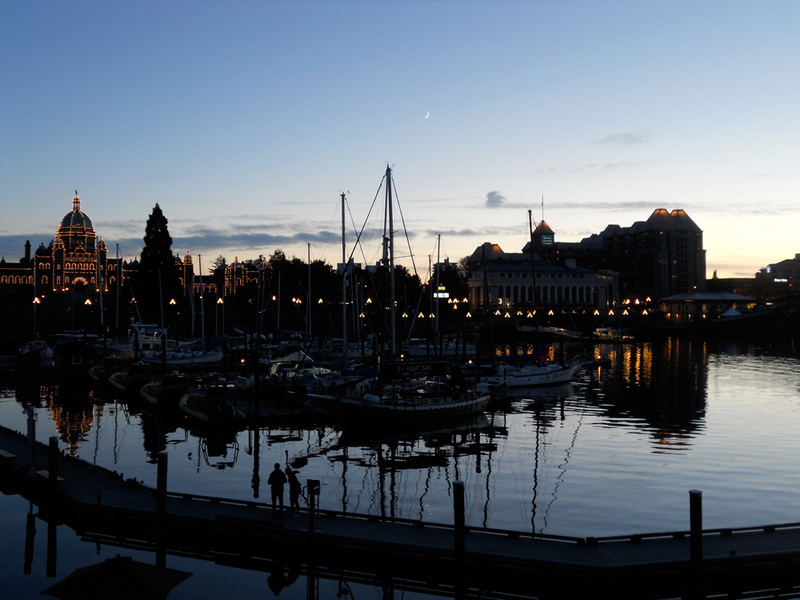 The Inner Harbour and a sliver of waxing moon. 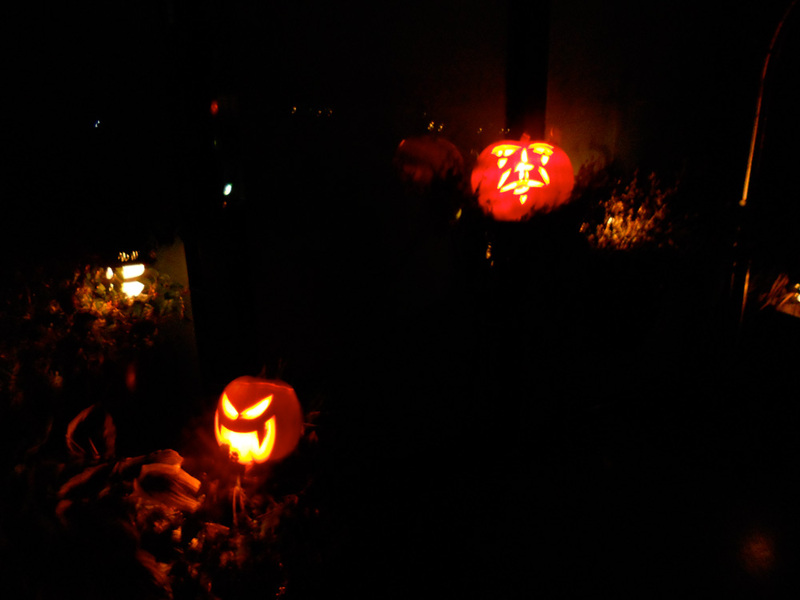 Billy cut the bottoms off the pumpkins instead of the tops so he could put them over his patio lights. 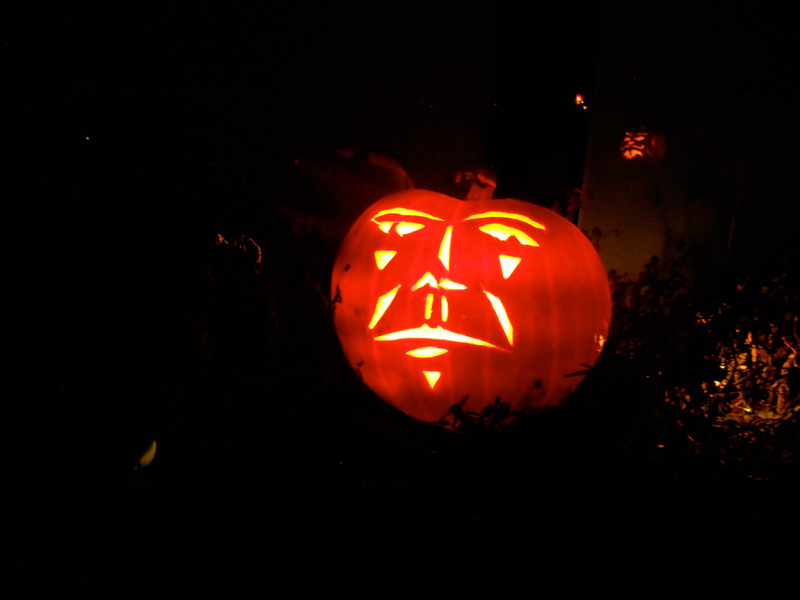 This is GJ’s pensive fellow. 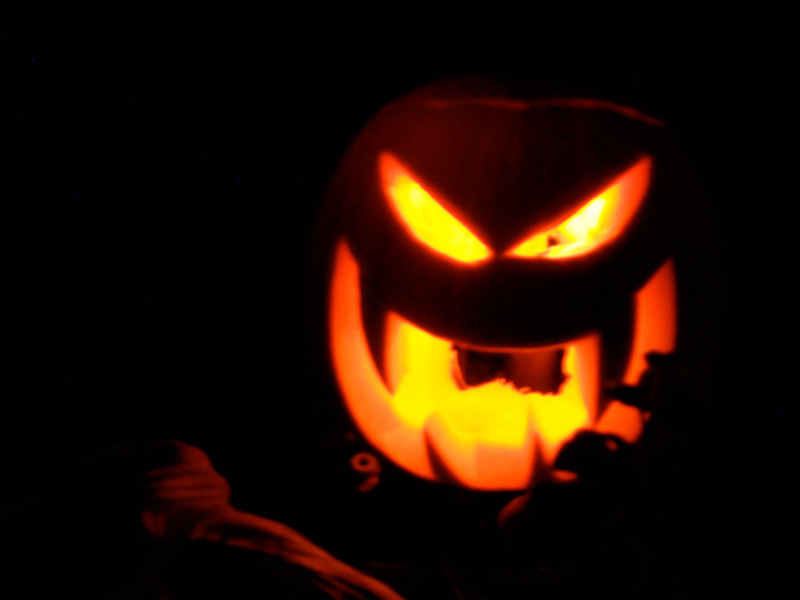 I think this was my favourite; old style and totally spooky. 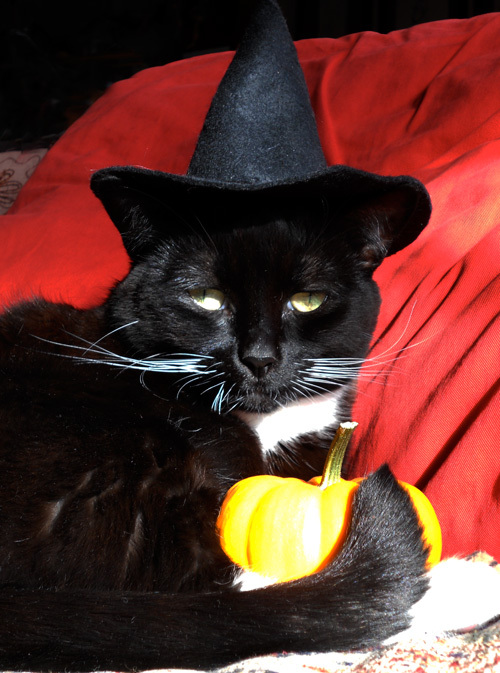 Our sleepy cat poses (reluctantly) for Halloween pic. 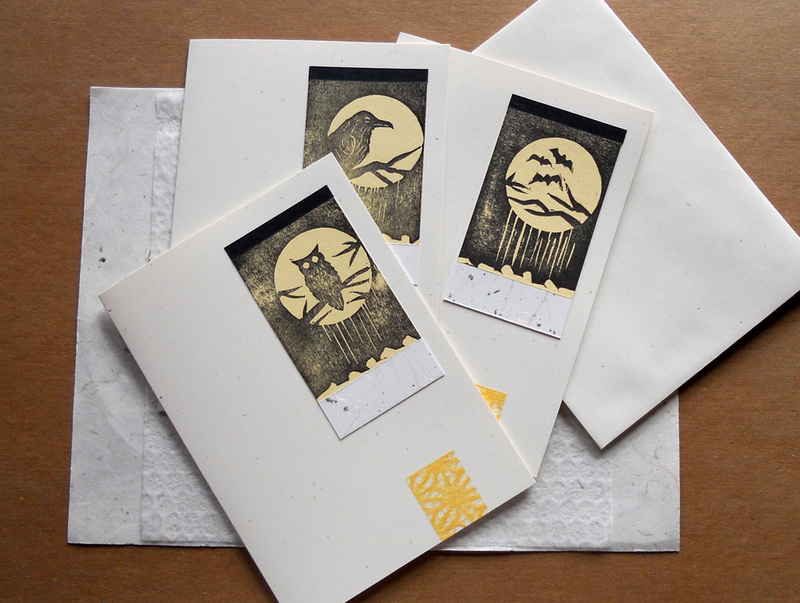 Ravens, owls and bats for spooky Hallowe’en cards. 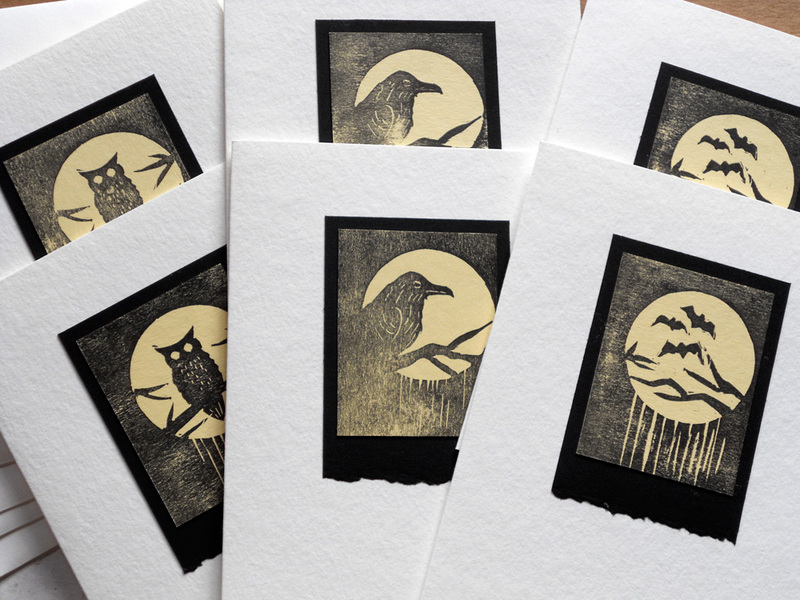 More spooky in a more simple card.